Still a staple on classic rock stations around the world, the sound of Thin Lizzy will live on forever. Even just saying the words "The Boys Are Back in Town" is likely to get their chart-topping hit stuck in your head for days. 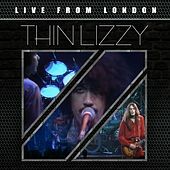 Thin Lizzy stormed out of Ireland with anthemic, working class songs led by relentlessly blistering twin guitars. 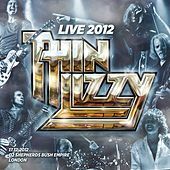 Shunned by critics but loved by legions of dude-rockers around the world, Thin Lizzy seemed to be an unstoppable train of Hard Rock thunder. From 1971 through 1983, Phil Lynott and the boys released at least one album every year -- sometimes even cranking out two. While the fans still craved the gritty guitars and beer-swilling sing-alongs, Lynott steered the band more towards concept-oriented songs and eventually called the band quits in the early '80s.